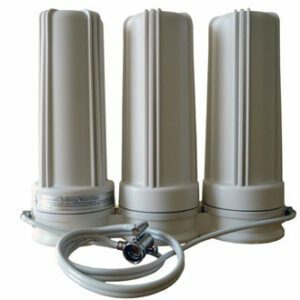 This is an excellent inline FLUORIDE & CHLORAMINE & CHLORINE-removing fridge filter for your cold drinking water. The ILF-200 has been discontinued. It is replaced by this unit, which will do all that the ILF-200 did, and a bit more. This inline refrigerator water filter will not fit inside your fridge. It is cut into the water line leading to your fridge by a plumber. When it’s time to change filters, you can do it yourself. 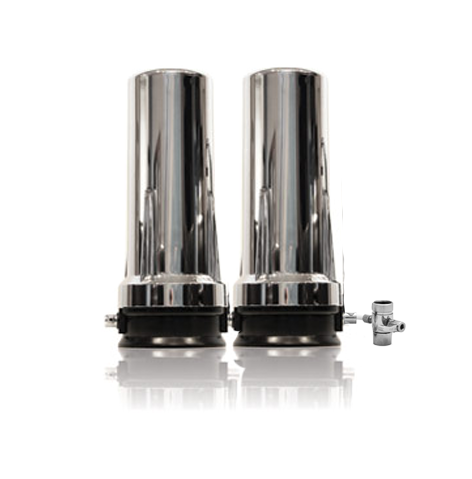 Unlike most of our filters, with the inline fridge filters you replace the entire thing. New improved housing can handle pressure spikes. The media include kdf 85 (copper-zinc) and catalytic carbon, and activated alumina, calcium-based carbon (bone char), and SR-900. Typically replace entire fridge filter every 6 months. Maximum usage is 500 gallons. You need to get a plumber to cut it into the water line to your fridge. This is a basic plumbing job. Once installed, you do not need a plumber to change filters. To change filters, you turn off the water flow, screw the old one off and the new one on. 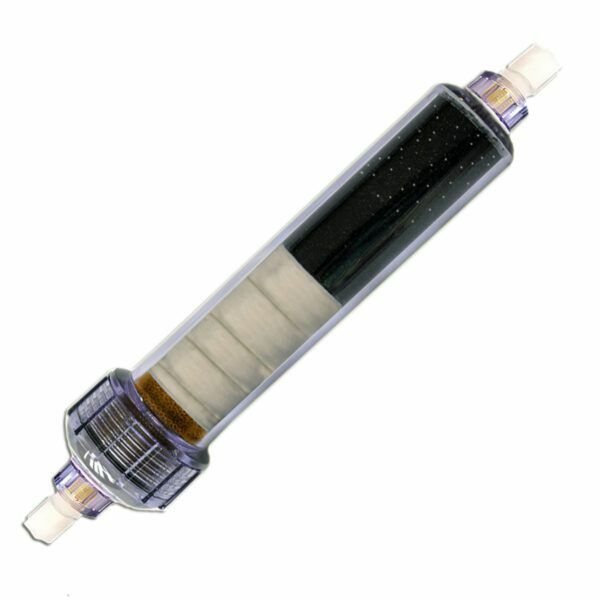 When it’s time, just reorder a complete filter; this one doesn’t come with a cartridge inside. This is a great filter; the water tastes great and the ice cubes are great too. Customer service is super excellent! All questions answered promptly. Love this company! This fridge filter is excellent. We cut out a niche in the wall behind the fridge to make future replacements easy and in order to be able to keep the counter-depth fridge flush against the wall. Absolutely no chlorine smell or taste and the water tastes great. It’s nice knowing we’ve significantly cut down our fluoride intake as well. Highly recommended! Hi Lewis, thank you for your 5-star rating and for your comments. Sorry to hear you had some leaking. Glad the plumber’s tape resolved the issue. It was necessary to make the switch to a Nylon fitting on these filters only. There were some customers over-tightening. The brass inlet/outlet fittings would bite in too far and cause cracking. 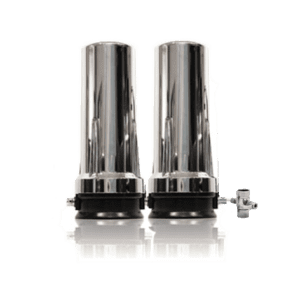 With these filters, the fittings connect directly to the clear plastic, which is rigid and not flexible. We’ve not heard of others having leaks, so hopefully this won’t happen again for you or others. Thanks for being our customer since 2011! We really appreciate it. Please don’t ever stop selling this filter. The standard filters that are used in refrigerators don’t filter fluoride or chloramine. I use the refrigerator filter that goes inside the refrigerator (purchased from a box store) as well as this one. Before the addition of this one, the water smell and taste was of horrible mildew. 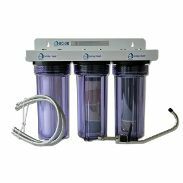 With two filters, I get not only protection from fluoride and chloramine and more, but also smooth, good tasting water. The only disappointing thing is this filter used to be good for one year instead of six months. Hi, Thank you for the review. We really appreciate it. Both fluoride and chloramine are harder to filter than most things, and the filter media doesn’t last as long. This filter works on both. In some places, filtering both isn’t needed, so those filter variants can last longer.